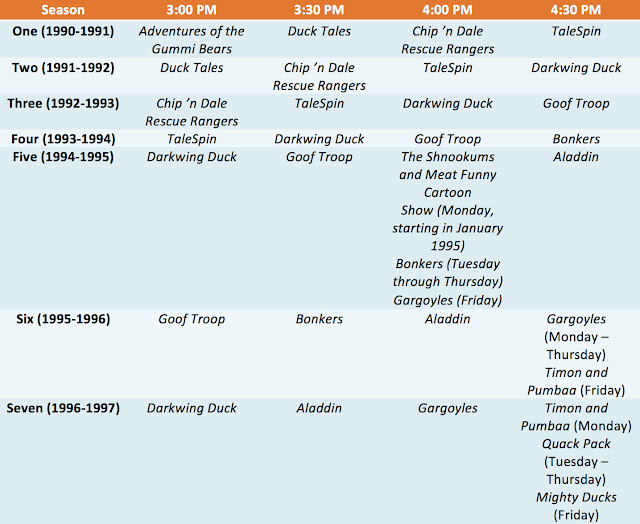 As you can see from the chart above, some of the shows were based on Disney movies that had recently hit theaters. For a few years, a “two year rule” became a template in which two years after a Disney animated movie came out, a The Disney Afternoon series by the same name or featuring the characters premiered. Disney would continue a similar trend with television series that premiered after the official The Disney Afternoon block ended, including The Little Mermaid, Hercules: The Animated Series, The Legend of Tarzan, Buzz Lightyear of Star Command, The Emperor’s New School and Lilo and Stitch: The Series. The Disney Afternoon made its mark on the Disney Parks as well. 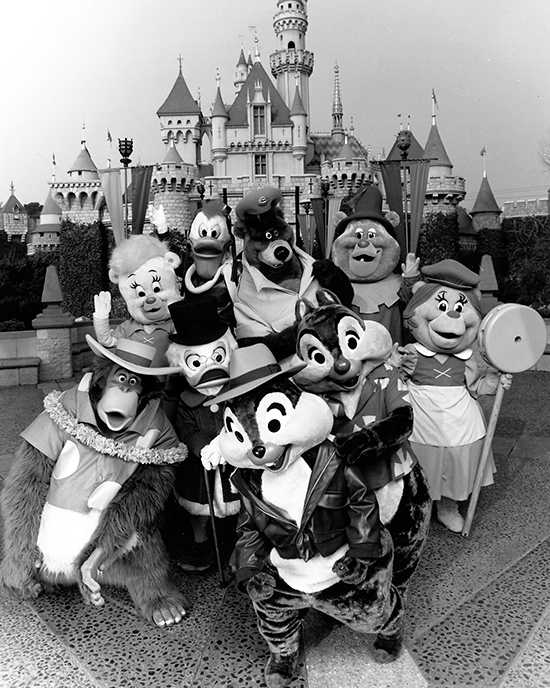 From March 15, 1991 to November 10, 1991, a temporary sub-land in Disneyland Park called Disney Afternoon Avenue opened. Located on what is called the Small World Mall (the space between the Fantasyland Theatre and “it’s a small world”), Afternoon Avenue featured meet-and-greets with some of the most popular characters from The Disney Afternoon cartoons. While most of these characters are retired now, they occasionally pop-up for special events. It is also believed that this area was used as a test to gauge guest interest in a “land for toons” (what eventually became Toontown). Chip ’n Dale Rescue Rangers still has a mark in Toontown to this day as well, with “Gadget’s Go Coaster” being a reference to Gadget in the television show. 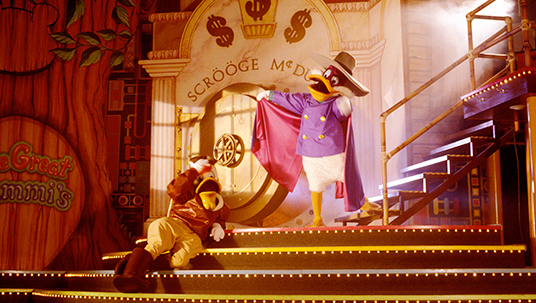 On the East Coast, a stage show named Mickey’s Magical TV World took place on the Cinderella Castle stage, and featured characters such as Darkwing Duck and Scroog McDuck from The Disney Afternoon shows. 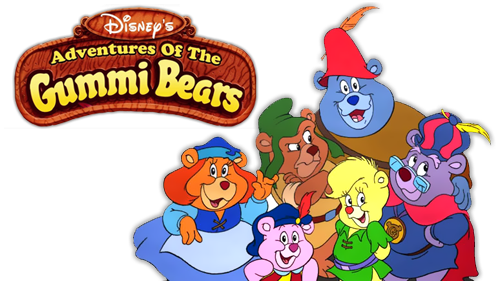 Disney's Adventures of the Gummi Bears aired in the United States from 1985 to 1991. The series was the first animated production by Walt Disney Animation Television, and loosely inspired by the gummy bear candies. The series premiered on NBC on September 14, 1985, and aired there for four seasons. 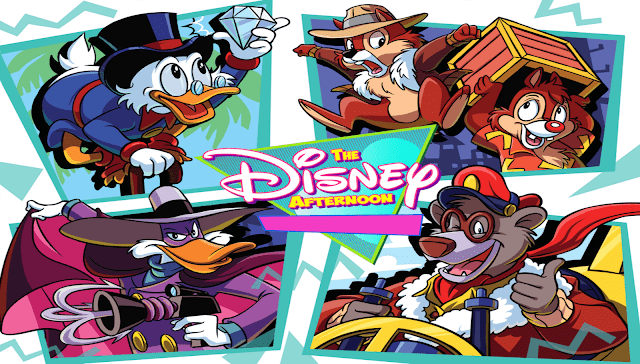 The series then moved to ABC for one season from 1989 to 1990, and concluded on September 6, 1991 as part of The Disney Afternoon television syndication package. The show is well-remembered for its theme music, written by Michael and Patty Silversher, and for the creation of "gummiberry juice". The theme was memorably performed by Joseph Williams, son of composer John Williams, the one-time lead singer of Toto. 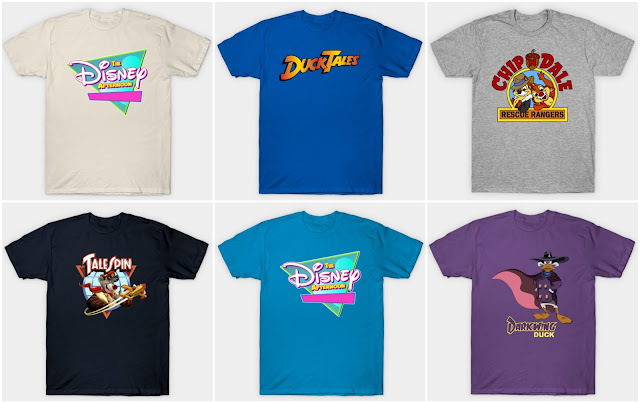 DuckTales premiered on September 18, 1987 and is perhaps the most beloved Disney Afternoon brethren. With a total of four seasons and 100 episodes, an animated theatrical spin-off film based on the series, DuckTales the Movie: Treasure of the Lost Lamp, was released widely in the United States on August 3, 1990. The voice cast from the series reprised their roles for the film. One of the characters created for DuckTales, Launchpad McQuack, later became a major character in the series Darkwing Duck. 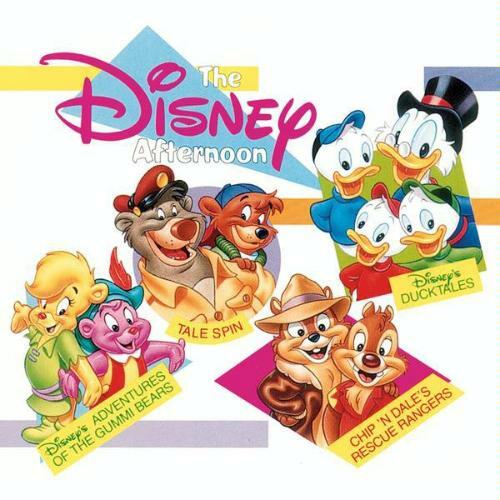 The popular theme song was composed by Mark Mueller, who also wrote the theme song for Disney's Chip 'n Dale Rescue Rangers. The song is sung by Jeff Pescetto and has been widely regarded as one of the most memorable for a television program. Chip 'n Dale Rescue Rangers featured the established Disney characters Chip 'n' Dale in a all new setting. The series premiered on The Disney Channel on March 4, 1989 and premiered with a two-hour movie special, Rescue Rangers: To the Rescue. On September 18, 1989, the series entered national syndication. From 1990 to 1993, reruns of the show were aired as a part of the Disney Afternoon lineup. The show's opening theme was written by Mark Mueller, an ASCAP Award-winning pop music songwriter who also wrote the popular theme song for DuckTales. The song performed over the title credits is sung by Jeff Pescetto (who also performed the DuckTales theme song). A full-length version of the theme song was later recorded by the pop group The Jets. TaleSpin first aired in 1990 as a preview on The Disney Channel and later that year as part of The Disney Afternoon, with characters adapted from Disney's 1967 animated feature The Jungle Book. The name of the show is a play on the word tailspin, the rapid descent of an aircraft in a steep spiral. The two words in the show's name, tale and spin, are also a way to describe telling a story. 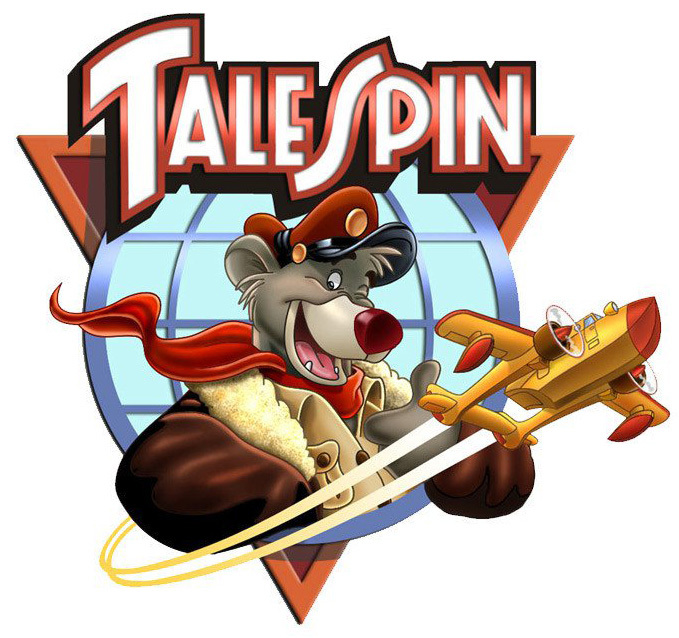 TaleSpin's theme song "Spin It" is the opening song of The Disney Afternoon animated television show. 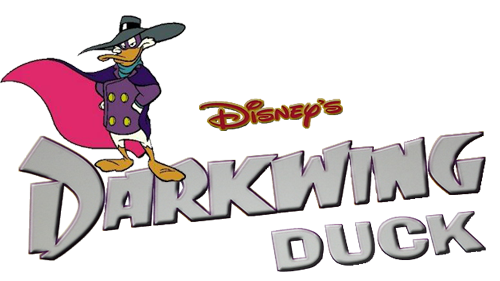 Darkwing Duck first ran from 1991 to 1992 on both the syndicated programming block The Disney Afternoon and Saturday mornings on ABC. It featured the eponymous anthropomorphic duck superhero whose alter ego is suburban father Drake Mallard. Darkwing Duck was developed as a last-minute replacement for a proposed reboot of The Rocky and Bullwinkle Show when the creative team realized that Disney did not own the rights to the characters (Disney merely held home video rights to the series). 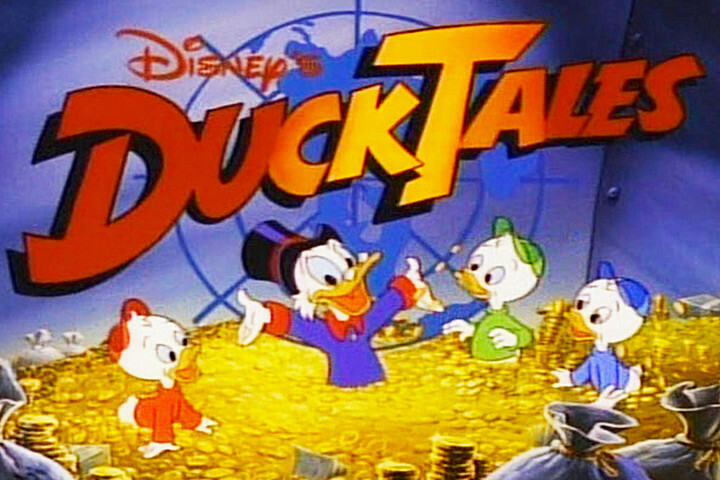 The show was a spin-off of the very successful series DuckTales and entered production roughly one year after DuckTales ended. Where most prior Disney Afternoon series included at least some characters from classic Disney animation films of the past, Darkwing Duck featured a completely original cast. Even the DuckTales characters it reused had no counterpart in early Disney shorts. The Darkwing Duck theme song was written and composed by Steve Nelson and Thomas Sharp. Brittany Bell grew up in Lewiston, Maine, about 45 minutes away from Portland. She is currently studying Public Relations and Journalism at Boston University, and hopes to one day work for the Mouse himself. She grew up in a Disney-loving home, and would watch Sleeping Beauty on repeat as a little girl. Her first trip to Walt Disney World was in the summer of 2000, at four years old. Ever since then, Brittany and her family take annual trips to the World, and have no intention of vacationing anywhere else. Her favorite places in Walt Disney World are the Animal Kingdom Lodge, the Grand Floridian, and the Magic Kingdom. She can’t go without seeing Fantasmic! at least once each vacation, even though she chokes up a little at the final scene. Brittany is fascinated by how one man’s dream became an empire—one that makes dreams come true every day. Before she became obsessed with Frozen and Queen Elsa, her favorite Disney characters were Princess Aurora and Mulan. She loves everything and anything Disney, from the parks, to the movies, to the Broadway musicals. 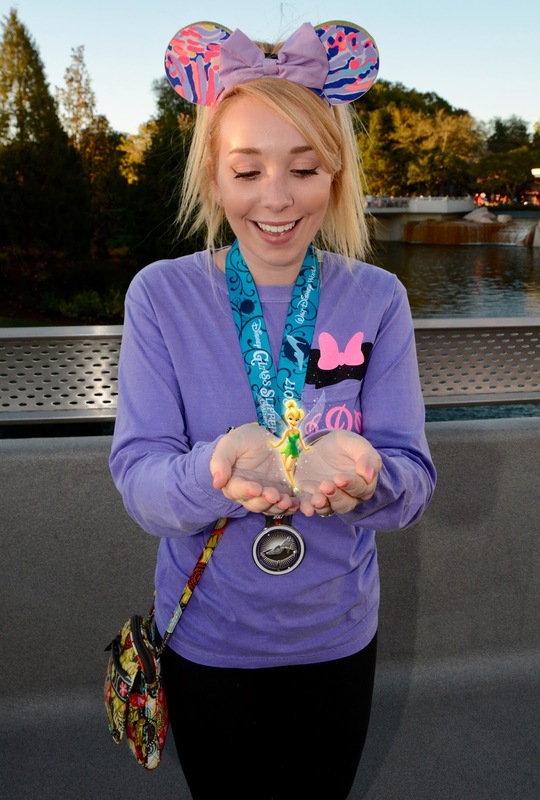 In the near future she hopes to participate in the Disney College Program and work as a “friend of a princess”. You can find all of Brittany's articles here.